Home / Other / If You’ve Been Seeing Crows Everywhere, This Is What It Means! Crows are incredibly intelligent creatures. In fact, their brain/body size ratio is the same as that of a chimpanzee; and we all know how intelligent chimps are. 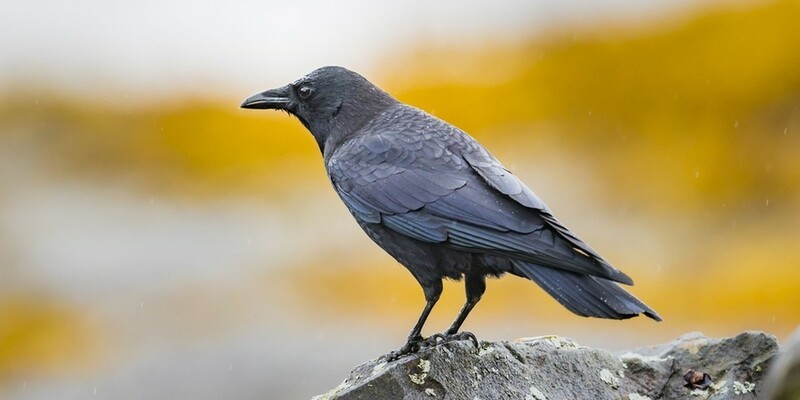 Crows have an excellent memory and a complex vocabulary. When one crow is exploring something new, the others in the flock watch and learn from the experience. Crows will make a huge ruckus when hunters are around, which alerts other animals, like deer, rabbits and other birds. They know they are most vulnerable when they are feeding and post lookouts to watch for any danger. Some cultures consider crows to be the keepers of the Sacred Laws because nothing escapes their keen eyesight. Crows can travel back and forth between dimensions and, because of this, can deliver messages to the dead. Other traditional meanings associate the crow with bad omen and dark witchcraft. The crow also carries the power of prophetic insight and is associated with the core of creation. There is a great deal of symbolism surrounding crows. Below is a list of the most common. If you suddenly begin seeing crows everywhere, there could be a huge change coming into your life. Crows are able to adapt easily to any environment and will eat almost anything. So, when a crow presents itself to you it is reminding you that you can adapt to anything and that now is the time for major change to take place in your environment. Crows not only bring the message of change, but remind us about the creation and magic all around us. Black is the color of the night, giving birth to the light of a new day. This is a representation of the immense power each and every one of us holds to take hold of our own destiny. It is also said that the crow appearing to you is a sign for you to use your “second sight,” or clairvoyance. This is a gift that allows you to see beyond what we are humanly capable of and can allow us to see into the spirit dimension. This is the symbol most associated with the crow. Some say that the crow is able to guide souls into the afterlife. It is also believed that, when death is near, a crow will come to a window or near a home repeatedly for several days before the passing takes place. After someone has passed, a crow will visit the home again in the same way. If this happens, it means the crow is bringing a message from the one who has just passed. It’s important to pay attention to when and where the crow appears as it’s a sign of the message being sent.